Leaf Magnets™ are the best leaf removal technology, and the healthiest. All alternatives (rakes, blowers, vacuums, sweepers, and lawn mowers) damage your health, appearance, mood, brainpower. Surprised? So were we. We knew exhaust gas is toxic and noise is annoying, but beyond that, we didn't see any other problems except for a cough lingering for a few days after blowing or vacuuming—just allergies, we presumed. The reality is more alarming. The inescapable problem with blowers is that they blow everything on lawns, not just leaves. Lawn vacuums also stir up plumes contaminating the user's eyes, nose, lungs, ears, and clothing. 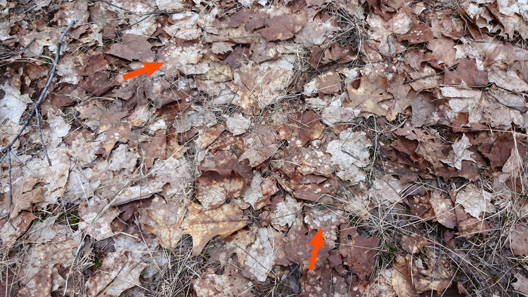 What's on leaves and grass is often toxic, and what is in soil always is: no area is safe, but some are worse than others (example). Even lawn sweepers and rakes create some dust and airborne debris, and thus also pose a risk to you. The references listed below substantiate our concerns. Most were generated by scientists, all of whom have nothing to sell, and hence no vested interest in persuading you that what is on lawns and in soil is indeed hazardous to users and their neighbors. The irony is that people use leaf blowers and lawn vacuums to save time, but they may waste even more by triggering health problems and increasing the risk of premature death not only in the operator but others nearby because noise, exhaust, dust, and other hazards spread widely. Minimizing future risks and focusing on immediate benefits is an example of temporal discounting. In the minds of most people, the apparent time savings from using leaf blowers instead of rakes is so alluring they opt for the blower even though it may send them to an early grave or unable to perform in the bedroom without pharmacological assistance—none happening today or anytime soon, so the generally small risk from any one usage is rounded down to zero. But just as one fast-food meal won't kill you but a steady diet of them very well may (the threshold effect, analogous to the straw that broke the camel's back), small but repeated risks can slowly add up to big problems. Leaf Magnets™ eliminate the need to trade current benefits for future risks because they outperform leaf blowers while not subjecting you to their health hazards. Leaves decay primarily via decomposition by mold, with various fungal species predominating at different times; this diversity heightens the chance of leaves inducing an allergic response in any one person. 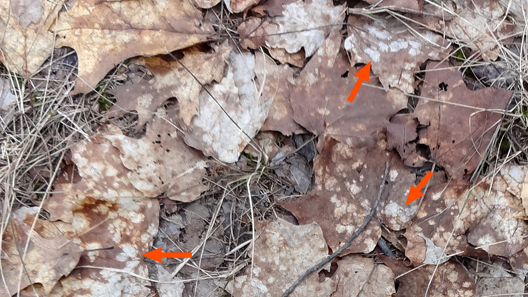 Arrows in the pictures below highlight mold spots on leaves in early spring after they were covered by snow during a northern Michigan winter. Fungal decay slowly proceeds until leaf decomposition is complete. Most people don't know about research documenting these effects, thus they never put two and two together, so if their children do not get into medical school or otherwise fail to achieve their career dreams, or if they develop health or behavioral problems, almost never is the leaf blower identified as the culprit or contributing factor. Comment: The culprit? Particulate matter 2.5 (PM2.5). One source: engine exhaust. Researchers at USC's Environmental Health Sciences Center found that air pollution increases obesity, teenage aggressiveness, and nearly doubled the risk for dementia in older women. Comment: City air is significantly cleaner than air inhaled by people using gasoline-powered leaf blowers. Comment: In addition to being contaminated by potentially toxic chemicals such as lead, arsenic, and chromium, street leaf sweepings were found to contain high levels of polycyclic aromatic hydrocarbons (PAHs, some of which are genotoxic carcinogens) that may originate from vehicle exhaust, tire wear, and other sources. Wind (natural and that resulting from vehicle motion) spreads leaves, so ones contaminated by being in or adjacent to streets can move to other areas, including your lawn. Comment: This translates into more health problems and shorter lives, but it's not just from automobiles; polycyclic aromatic hydrocarbons (PAHs) and other pollutants are produced by motor vehicles but the exhaust of small engines—such as those used in leaf blowers and lawn vacuums—is considerably more toxic, as documented by other references below. The irony is that in using them to save time, people risk cutting years or even decades off their lives. Not everyone succumbs to premature death, but it is impossible to escape all consequences of small-engine exhaust, such as premature signs of aging, some of which are mentioned below. Comment: The research also revealed that up to 24% of the total number of asthma cases could be caused by traffic-related air pollution. As documented below, vehicle exhaust is considerably less toxic than that from small engines, such as leaf blowers and lawn vacuums. Furthermore, people using such devices are exposed to a much higher concentration of pollutants than waft in from a distance from vehicles. Comment: Shortened telomere length is linked with cognitive decline, heart disease, cancer, aging, and premature death. Comment: Nitrogen dioxide is also present in small-engine exhaust, such as from leaf blowers and lawn vacuums. Comment: Researchers found a significant inverse correlation between mean annual ambient NO2 and life satisfaction, with effects comparable to many 'big hitting' life events. Pollution can lead to brain damage and depression warn scientists: Long term exposure to air pollution could damage the brain and lead to learning and memory problems and even depression, new research has revealed. Comment: Environmental triggers include air pollution particulates. Comment: For those born in July, a 74% higher risk! Comment: Engine exhaust contains carbon monoxide. Comment: Tornadoes that rip apart homes and other buildings widely spread their fiberglass insulation, pulverized drywall, asbestos (in older buildings), and other things you don't want in your eyes, nose, or lungs. However, the risk doesn't end after the tornado passes because such materials land on the ground, eventually mixing into the dirt, and can be subsequently stirred up by lawn vacuums or sweepers and especially leaf blowers. The dirt they put into the air kicks up everything in it. This problem can affect you even if tornadoes have never damaged your area because smaller amounts of fiberglass are added to soil during construction and some renovation or restoration projects. Comment: Researchers found associations between various types of cancer and soil metals, including lead → esophageal cancer, copper → lung cancer, arsenic → brain tumors, cadmium → bladder cancer; (cadmium, lead, zinc, manganese, and copper) → digestive system cancers. Leaf blowers are the single most effective way of stirring soil into the air, with everything on and in it—including metals—given pipelines to enter the body, such as via inhalation. Lawn vacuums and mowers pose a similar risk but generally create less airborne dust. Comment: Dry conditions in the Southwest make dust more of a problem there, but most other areas have dry spells during which leaf blowers and lawn vacuums can stir up substantial amounts of dust that endanger health. Lesser but still harmful amounts of dust are generated by leaf blowers at other times, including wet weather. Comment: Noise in general is a stressor. 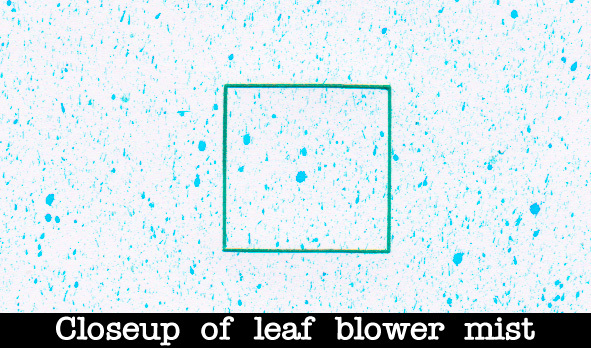 Comment: Leaf blower noise is even more irritating. Comment: Those making noise are less bothered by it than others hearing it. • Dr. David Lighthall said respirable road dust stirred up by leaf blowers can remain airborne for days. • The California Air Resources Board said fine airborne particles cause 9000 premature deaths per year in California—that's like three 9/11s per year. • After the head of a gardening crew spent eight minutes blowing, he accumulated a debris pile weighing about 12 ounces. This illustrates leaf blower inefficiency. • Peter Kendall complained that salad greens from his organic garden are covered with dust stirred up by leaf blowers, wisely realizing that dirt contains several toxic substances. He and his wife Susan created a website (Quiet Orinda) advocating for a city ban on blowers and posted a video presenting some of their hazards. • Attacking leaf blowers incited some of their proponents to inflict ad hominem attacks upon the Kendalls. People resort to ad hominem attacks when they cannot substantively rebut points made by their ideological opponents, substituting personal attacks on them in place of a debate of the issues. • Orindans often worry they may lose gardeners by discussing leaf blower issues with them. As a former lawn maintenance contractor, I would have loved it if customers voiced problems and presented new solutions helping them and me. Leaf Magnets™ do exactly that. Comment: Because blowers are so slow, their operators are exposed to exhaust, dust, and toxic substances in it for longer periods than they would with the efficient Leaf Magnet™ method. With it, one pass and that area is done, as opposed to leaf blowers in which areas often must be blown again as wind or the leaf blower blows leaves onto that spot again … and again. Because the airstream from blowers fans out, leaves will inevitably be blown onto previously cleared areas. The only way to minimize that is counterintuitive and awkward, making leaf blowers even more annoying to use. Comment: According to the article, landscapers claim they must work up to 50% longer with a rake and broom instead of a leaf blower. Comment: Living adjacent to coal-tar-sealcoated pavement substantially increases cancer risk; most of which stems from ingestion or inhalation of soil, since inhaled material is often swallowed. Sealcoatings easily abrade from driveways and parking lots, contaminating those surfaces and adjacent dirt with toxic particles leaf blowers can spread widely. Comment: Adults exposed to PAHs have a heightened risk of cardiovascular disease. Exposed animals show increased atherogenesis, which elevates the risk of heart disease, stroke, erectile dysfunction, and other problems. Comment: A mutation here, a mutation there: as they add up, your chance of living goes down. Unfortunately, this is just one of the cancer risks stemming from leaf blowers and lawn sweepers. Wearing a suitable mask reduces the risk to their operators, but not others who breathe in dust generated by them. Comment: After melting snow releases those toxic chemicals into soil and onto grass, leaf blowers and lawn vacuums spread them widely. Comment: Leaf blowers don't just stir up dust, leaves, and grass but everything contaminating them, including pesticides. You Breathe What They Blow: The negative effects of leaf blowers are shocking. 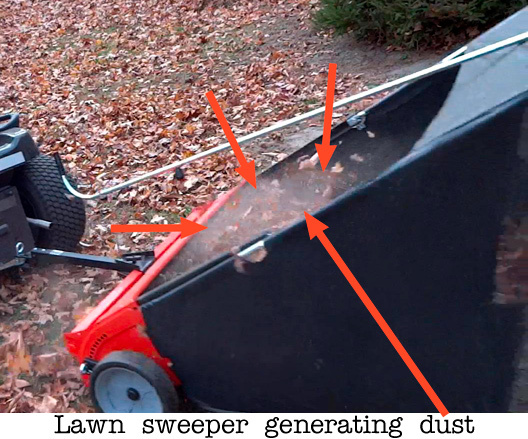 Why You're the Worst Person In the World If You Use a Leaf Blower: Want to be a lousy neighbor? Have we got the device for you! Comment: Air pollution affects everyone, everywhere. 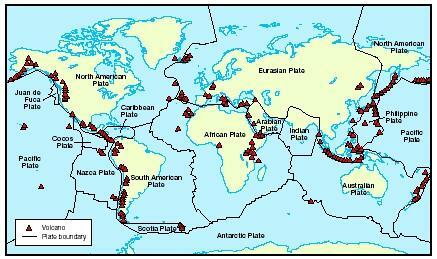 Some areas are worse, but none are without risk. Leaf blowers and lawn vacuums contribute to the problem. Comment: Using leaf blowers and lawn vacuums when windows are open can quickly contaminate homes. Merely entering a home with dusty clothes is another source. Researchers found that measurable effects were produced by as little as 3 micrograms of dust. Comment: We tend to think air pollution varies regionally, but nearby locations can have significantly different pollution levels. Comment: Leaf blower and lawn vacuum engines inevitably produce polycyclic aromatic hydrocarbons (PAHs) from incomplete combustion. PAH exposure during early stages of brain development can cause anxiety in adults. Comment: And likely also leaf blower noise, which is even more annoying. Florida Woman Threatens to Shoot Man with Leaf Blower Because it Was Too Loud! Microbes can redeem themselves to fight disease; Science News, Nov. 1, 2014, p. 19 (discussing how modified bacteria can be therapeutically used, but bacteria present in nature can, as quoted in the video, be harmful). Undetected infection: Raccoon roundworm -- a hidden human parasite? Comment: Yes. The CDC found that 7% of people tested positive for raccoon roundworm antibodies. The roundworm (Baylisascaris procyonis) infects over 90% of raccoons in Santa Barbara (in adult raccoons, infection rates are typically as high as 70%; in juvenile raccoons, they can exceed 90%). Female worms can produce well over 100,000 eggs per day (up to 877,000), invisible to the naked eye but dangerous and resistant to disinfection with soap, alcohol, or bleach and are hardy, able to survive years in the environment. Up to 45,000,000 eggs can be shed daily by an infected raccoon. The infectious dose is relatively low, estimated to be <5,000 eggs. Eggs accidentally consumed can hatch. Roundworms stay in the gut in raccoons; others aren't so lucky: they can migrate through the body, potentially producing blindness, severe brain damage, or even death (as happened to a Santa Barbara toddler). Dogs can be infected, then shed eggs in their feces. Raccoons are primarily nocturnal, so you may not realize they live in your area. One study found 30 raccoons per quarter acre. Comment: The authors said serious or fatal larva migrans disease in humans and animals is increasingly recognized to result from the raccoon roundworm Baylisascaris procyonis, the eggs from which were found in 28 – 49% of properties surveyed. Comment: Most doctors don't know about this disease, so many cases of it are overlooked, with the true cause never identified. However, even when Baylisascaris infection is suspected, diagnosing it is difficult. A child with raccoon roundworm meningoencephalitis: A pathogen emerging in your own backyard? Gut microbiota disturbance during helminth infection: can it affect cognition and behaviour of children? "Stupidity or worms": do intestinal worms impair mental performance? Toxocariasis: America's Most Common Neglected Infection of Poverty and a Helminthiasis of Global Importance? Comment: The chemicals, aldehydes, are present in engine exhaust and smoke. Comment: Small engines (such as those powering leaf blowers, lawn vacuums, and mowers) emit significantly more pollution than automobiles, which are heavily regulated and possess several pollution-control devices. Comment: The article also mentions that uneven skin tone can result from pollution. How bad for the environment are gas-powered leaf blowers? Comment: Despite having only ≈ 1% or less of the power of the 411-horsepower, 6,200-pound 2011 Ford F-150 SVT Raptor Crew Cab, the four-stroke Ryobi leaf blower emitted enormously more NOx, CO, and NMHC; the two-stroke leaf blower was even worse, generating more hydrocarbon emissions per season of typical use than the truck would in 20,000 – 300,000 miles (depending on yard size and leaf density). Comment: Operating gasoline-powered leaf blowers, lawn vacuums, and mowers is much worse because they emit more pollutants, which essentially pool around the user. Association between smoking and hair loss: another opportunity for health education against smoking? • Millions of Europeans die per decade from air pollution with most resulting despite their air supposedly being safe. • Strong evidence now indicates that NO2 [nitrogen dioxide] is itself harmful. • Air pollution likely heightens the risk of autism, dementia, diabetes, and other problems. • Researchers found myriad small iron particles in brains, likely from engine exhaust. Comment: Iron can generate reactive oxygen species that are neurotoxic. Comment: Researchers discovered air pollution directly affects bacteria that cause respiratory infections and their response to antibiotics. Comment: Strong evidence that dementia is associated with air pollution. 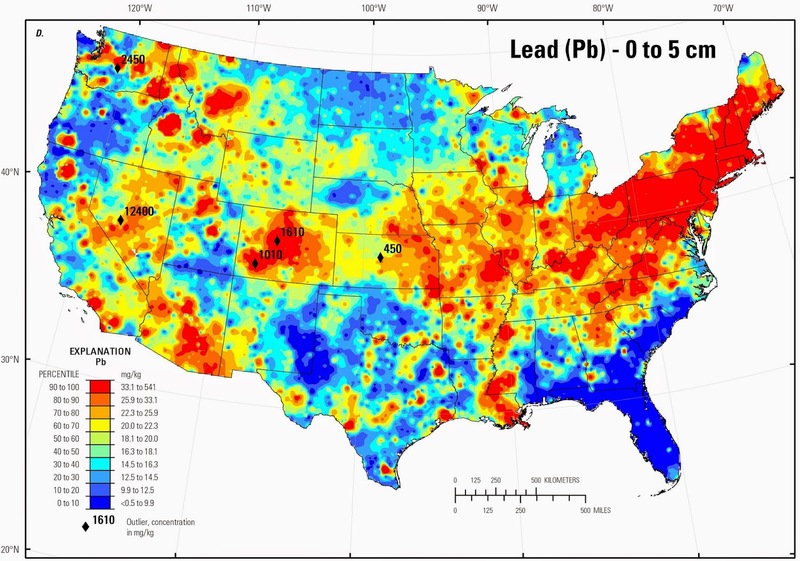 • Use of leaded gasoline in North America largely ceased by 1996 but soil adjacent to roads built before then is still contaminated with lead. • Researchers found a significant correlation between use of leaded gasoline and violent crime. Considering the latter: because major cities had a higher density of leaded gasoline use, it isn't surprising that their violent crime rates were higher. What are the Effects of Dust on the Lungs? Comment: Chitin is a component of organisms such as fungi (yeasts, molds, mushrooms), nematodes, protozoa, arthropods (insects, arachnids [spiders, dust mites], myriapods [millipedes, centipedes]), and Lissamphibia (frogs, toads, salamanders, newts), many of which can be inhaled when decaying debris from their dead bodies is stirred up by leaf blowers and lawn vacuums. In humans, chitin triggers an immune response that may become an allergy. Animals deficient in chitinases (enzymes that break down chitin) may develop severe inflammatory lung disease producing fibrosis. Some plants (such as bananas, avocados, tomatoes, kiwis, papaya, and chestnuts) use chitinase to defend against fungal and invertebrate attack whereas other organisms use chitinases for other purposes, such as digestion or structural remodeling. Chitinases have hevein-like protein domains that may trigger allergic cross-reactivity between latex and various plants. Comment: Dirt isn't just dirty; it is also germy—and leaf blowers spread it like wildfire. Neurotoxicity of inhaled manganese: public health danger in the shower? Does environmental exposure to manganese pose a health risk to healthy adults? Comment: A major potential source of lead exposure in urban children continues to be road dust. Low-level lead exposure and children's intelligence from recent epidemiological studies in the U.S.A. and other countries to progress in reducing lead exposure and screening in the U.S.A. Comment: Lead exposure before age 8 is associated with persistent cognitive deficits. Comment: Wind helps spread soil contaminants once launched into the air by leaf blowers or vacuums. Comment: Discusses how wind blows arsenic-contaminated dust from abandoned mines onto yards. • Researchers found that raindrops produce a spray of mist (aerosols), each laden with up to several thousand soil bacteria. • Wind can further spread airborne bacteria, enabling them to travel considerable distances, eventually settling to colonize distant areas. Leaf blower air velocity can exceed 200 mph, so they have markedly more potential to create mists from blowing leaves wetted by rain or dew. To illustrate this, we put blue food dye on grass that was blown by a leaf blower, which sprayed mist onto downstream paper (see below). In addition to the distinct spots, note the diffuse bluish haze especially concentrated near the upper center; that resulted from an aerosolized mist of countless tiny droplets—ones ideally suited for long-distance spread. The direct blast can travel many feet, but once airborne, wind can carry it hundreds or thousands of feet. Comment: Cryptococcus neoformans is the most medically important species of Cryptococcus. Wild birds, such as pigeons, can spread it via their droppings, which dry and can subsequently be stirred up, infecting humans or pets that inhale the dust. Leaf blowers aren't great at moving leaves, but they are exceptionally effective in stirring up dust of all sorts: from dirt (as toxic as it can be, as documented elsewhere in this page) to everything deposited on lawns, including bird droppings. Comment: Spores from this potentially lethal fungus are easily aerosolized by disturbing soil. It can cause disease (cryptococcosis) in people with normal immune systems (non-immunocompromised). Comment: Cryptococcus usually grows on rotting plant material in soil. Comment: A municipal leaf compost site liberated Aspergillus fumigatus spores that caused allergic bronchopulmonary aspergillosis in a local patient. Comment: Aspergillus spores are common in soil. Comment: Leaf blowers and lawn vacuums stir up even more allergens than lawn mowers. Comment: Animals urinate, defecate, vomit, bleed, die, and decay in nature. Leaf blowers and lawn vacuums strongly stir up these materials not only from their primary sites but also secondary ones after they are spread via a variety of processes. Comment: Trichosporon occur naturally in soil. Comment: Once airborne, wind blows volcanic ash for surprising distances (“thousands of kilometers”), so it can be found far from volcanic eruptions. Comment: Dust from the Sahara Desert in Africa was blown to the Southern United States, including Texas; worldwide total: 2 to 9 trillion pounds. Comment: Since dust can travel from one continent to another, dust stirred up by leaf blowers and lawn vacuums can easily spread onto neighbors' property and faraway places. Comment: Acute myocardial infarctions (colloquially, “heart attacks”) spike when Asian dust clouds blow in. • Airborne ash particles smaller than 10 µm diameter are inhalable. • Inhaling ash produces respiratory problems along with nose, throat, eye, and skin irritation. • Long-term exposure likely triggers health problems because free crystalline silica has been proven to cause silicosis. Comment: Leaf blowers can generate vastly more dust than off-road vehicles. Comment: Bacteria cling to particles of airborne dust, traveling many miles during storms. Comment: But it happens, and if it happens to you, its rarity is no consolation. • Anthrax is a zoonotic disease still affecting many countries, including the USA for wildlife species and herbivorous livestock, and secondarily people. • The soil-borne bacteria B. anthracis [the causative agent of anthrax] is ubiquitous. 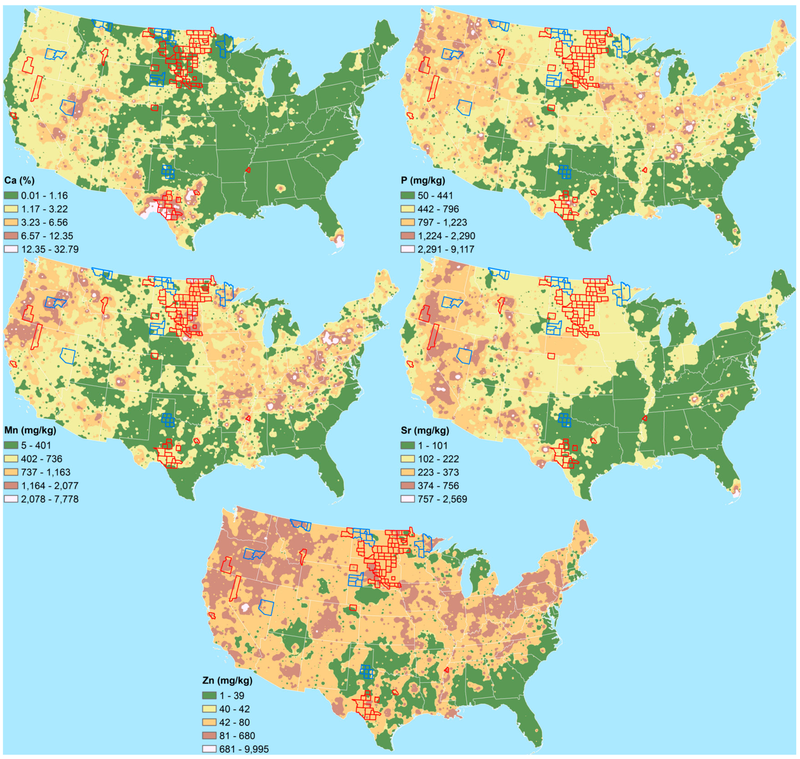 That article includes the predicted distribution of Bacillus anthracis in the 48 contiguous United States. Comment: According to the article, up to 75% of those inhaling anthrax spores (and 60% of those ingesting them) can die from it. Comment: Asbestos is a naturally occurring mineral fiber in some soil and rock. Comment: Asbestos is also frequently found in made ground. Comment: Soil can naturally contain asbestos. 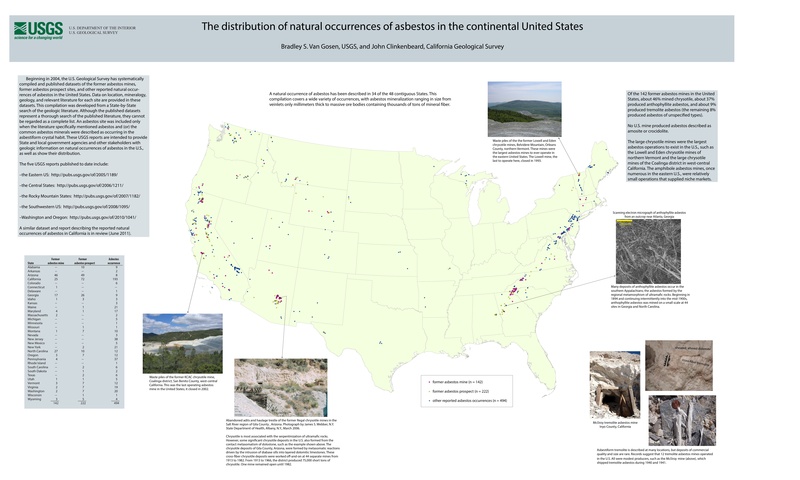 • Naturally occurring asbestos has been found in locations throughout the United States. • Minerals physically similar to asbestos, such as erionite, can also form needlelike structures that heighten the risk of mesothelioma. • Some California residential developments were built on soil containing asbestos; such fibers were found blowing around those communities. • Human harm resulted from considerably smaller amounts of asbestos than were previously assumed to be dangerous. 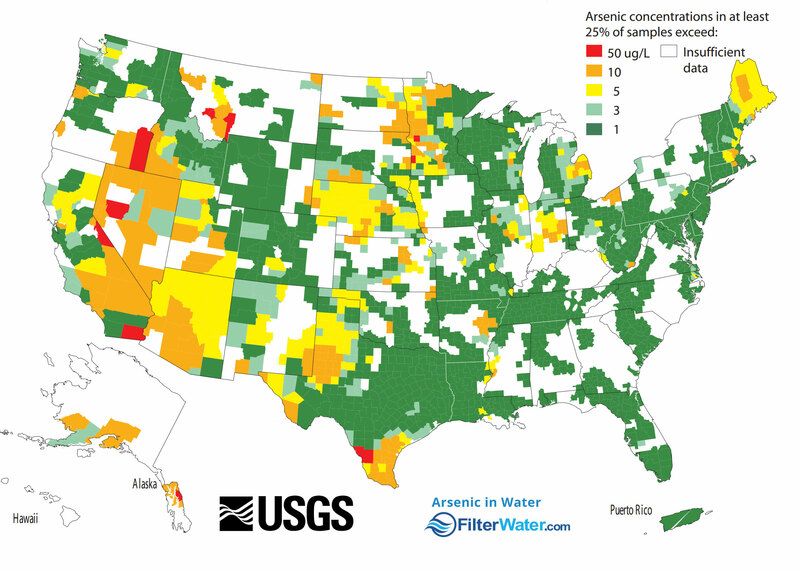 Comment: The fibrous zeolite mineral erionite is a highly toxic human carcinogen (causing mesothelioma) widely distributed throughout the world. Could avian scavengers translocate infectious prions to disease-free areas initiating new foci of chronic wasting disease? Comment: Because they are migratory, American crows can potentially spread infectious prions (including those associated with CWD) in their feces to distant disease-free areas. The Devil's Hair Dryer: Hell is other people, with leaf blowers. Do noisy leaf blowers drive you mad? Comment: MSSNY = Medical Society of the State of New York. I Have Seen the Face of Evil: The world's most pointless invention: It's not just for autumn any more! Comment: Electric blowers are quieter, but the inescapable problem with all leaf blowers is that they blow. Operators could reduce risks to themselves by wearing goggles, a respirator, earmuffs, and covering all skin with clothing, but doing that would frequently make blowing uncomfortably warm, even dangerous during hot weather. Furthermore, it does nothing to shield others from airborne debris stirred up by leaf blowers. Mr. Fallows touts the electric Stihl BGA 100, but even in what Stihl terms the “Boost Mode,” it is less than half as powerful as some gas blowers, none of which can equal the performance of Leaf Magnets™. Cost and battery capacity limiting run time are two more strikes against electric blowers. A prominent writer and Washington insider is launching a war. On leaf blowers. Comment: The authors reported that Toxoplasma gondii more than doubled the risk of schizophrenia in individuals exposed in utero (in the womb). Comment: Toxoplasma gondii infection has been associated with schizophrenia, bipolar disorder, depression, and suicidal behavior. Is there any role of Toxoplasma gondii in the etiology of obsessive-compulsive disorder? Comment: Disease resulted from infected cats fecally shedding toxoplasma oocysts with transmission presumably resulting from oocyst aerosolization or hand-to-mouth contact. Comment: The toxoplasmosis outbreak most likely stemmed from inhalation or ingestion of cat feces stirred up by horses. Leaf blowers can create substantially more airborne dust. Comment: Toxoplasma oocysts in soil or water, or on uncooked vegetables, is an important source of human infection. Comment: Soil and water are the usual sources of human toxoplasma infection. Toxoplasmosis. Are cats really the source? Comment: Human toxoplasma infections are less likely to result from direct contact with pet cats than from fecally contaminated soil spreading oocysts to hands. Comment: Oocyst-contaminated soil is increasingly acknowledged to be a primary source of human infection. • Toxoplasma oocysts are usually acquired from soil. • Infected men are more distrustful, aggressive, and apt to break rules; infected women more likely to feel a need to abide by them yet are paradoxically uninhibited. • When infected, both sexes exhibit slowed reaction time and more difficulty maintaining concentration. • Infected children scored less well on the Scholastic Performance Test with math giving them the most difficulty. Hence avoiding leaf blowers and lawn vacuums is occupationally relevant for those seeking careers demanding brainpower. • Most lawn and exposed soil samples were contaminated. Previously, T. gondii infection was thought to generally endanger pregnant women and people with impaired immunity, such as diabetics or those with HIV; infections in others was thought to be typically asymptomatic—that is, without symptoms. Comment: Researchers found a potential link between toxoplasma infection and depression. Comment: In men, reduced superego [conscience] strength is correlated with the duration of toxoplasma infection. • Toxoplasma gondii changes behavior. • 20 – 80% of people are infected by this parasite. • Those infected exhibit highly significant differences as compared with uninfected people. Reduced superego strength increases the risk of sociopathic behavior, including criminality. Comment: Those infected with Toxoplasma gondii had a significantly higher risk of being a psychiatric inpatient, especially one with schizophrenia. Comment: Toxoplasma gondii is also commonly present in soil. Decreased level of psychobiological factor novelty seeking and lower intelligence in men latently infected with the protozoan parasite Toxoplasma gondii Dopamine, a missing link between schizophrenia and toxoplasmosis? • Less likely to achieve higher education. Comment: Toxoplasma gondii infection produced premenstrual syndrome symptoms. Comment: Toxoplasma gondii infection was associated with feeling out of control or overwhelmed. Comment: Toxoplasma gondii infection was associated with behavioral changes including mixed anxiety and depressive disorder. Comment: Toxoplasma gondii infection was associated with several psychiatric disorders. • Toxoplasma gondii infection can alter human personality and may increase the risk of schizophrenia and depression. • The Toxoplasma gondii genome contains two aromatic amino acid hydroxylases that could directly affect biosynthesis of dopamine and serotonin. Comment: Toxoplasma gondii infection is associated with schizophrenia and epilepsy. Comment: There is a high (more than one-third) seroprevalence of Toxoplasma infection in Iran. Comment: In mice, latent infection with Toxoplasma gondii may cause learning and memory impairment. • Toxoplasma gondii infection was previously assumed to be asymptomatic but actually produces significant effects in humans, such as by increasing reaction time, which explains why infected people have a higher probability of traffic accidents. • Latent infection with Toxoplasma gondii is associated with immunosuppression, which may explain why mothers of children with Down syndrome have a very high prevalence of toxoplasmosis. • Male students infected with Toxoplasma gondii are approximately 3 cm taller and have faces perceived by women to be more masculine and dominant: effects that may be caused by increased testosterone. • Toxoplasma gondii infection is associated with the initiation of more severe schizophrenia. • Dozens of studies have demonstrated a link between toxoplasmosis and schizophrenia. • The RHD gene encodes the RhD protein, which is the strongest Rh blood group immunogen in the Rh blood group system. • A significant minority of people are RhD-negative because they lack the RhD antigen. • Heterozygous men (those with RhD plus and RhD minus alleles) were protected against reaction time prolongation associated with Toxoplasma gondii infection. Comment: Toxoplasma gondii infection could strongly increase the risk of traffic accidents in RhD negative people. Reaction time is crucial for everyone but even more so for racecar drivers and professional athletes: for them, it is easy to see why reaction time can make the difference between living and dying, or a huge paycheck versus a more meager one. Hence anyone RhD negative with such career aspirations who yearns to be a star has another compelling reason to avoid using—or even being near—leaf blowers and lawn vacuums. Is Toxoplasma gondii a potential risk for traffic accidents in Turkey? Comment: More evidence linking toxoplasmosis with an increased risk for traffic accidents. • RhD-positive people were protected against impaired psychomotor performance associated with Toxoplasma gondii infection. • RhD-negative mothers infected with Toxoplasma gondii gained more weight. Hence RhD-negative people are NOT protected against toxoplasmosis-associated problems. Approximately 15% of the U.S. population is RhD-negative. Comment: Rh-positive people are protected against certain behavioral effects associated with infection by Toxoplasma gondii, such as slower reaction time and altered personality; Rh-negative individuals are not protected. • More evidence demonstrating the importance of soil in transmitting Toxoplasma gondii. • All parks sampled were contaminated with Toxoplasma gondii. Comment: Earthworms can transmit Toxoplasma gondii. • A greater risk of mental retardation was found in children of mothers exposed to soil and cats. • Toxoplasma gondii infection quadrupled the risk of retinochoroiditis. • Subclinical congenital toxoplasmosis seems to be an important factor in mental retardation. • Antibodies to Toxoplasma gondii were higher in recent aborters from rural areas in which women are more commonly exposed to soil even if they don't have pet cats. Are There any Relationships between Latent Toxoplasma gondii Infection, Testosterone Elevation, and Risk of Autism Spectrum Disorder? Can the common brain parasite, Toxoplasma gondii, influence human culture? • Toxoplasma gondii manipulates human personality. • Most infected people initially experience only mild flu-like symptoms, but fetal infection can produce devastating effects. • After the initial infection, Toxoplasma parasites become largely dormant in tissues including the brain. • The seroprevalence of Toxoplasma gondii exhibits substantial geographic variation that may explain behavioral differences in people from different areas. • Toxoplasma gondii infection is associated with increased neuroticism and proneness to guilt; infected women are more rule-conscious, conforming, and staid; infected men are less intelligent, more rigid, more emotionally reactive, more changeable, more affected by feelings, more easily upset, and less emotionally stable. • Toxoplasma gondii oocysts live longer in low-altitude areas with higher humidity, especially those at mid-latitudes with infrequent freeze-thaw cycles. • People working with soil are more likely to ingest Toxoplasma gondii oocysts. • Toxoplasma gondii carriers are more likely to exhibit long-term personality changes. Effects differ in men and women but both are more neurotic. • Countries with a higher prevalence of Toxoplasma gondii infection more often have (1) more pronounced differences in gender roles with more focus on ambition, work, and money instead of people and relationships, (2) greater risk aversion, (3) a tendency to embrace strict regulations and rules. Life is short. Leaf blowers make it even shorter.℠ Here's why.